Bratislava, December 27 (TASR) – Robert Kalinak’s decision (Smer-SD) to give up his seat in Parliament has come late, concurred the Opposition parties Freedom and Solidarity (SaS) and OLaNO on Thursday. SaS leader Richard Sulik is convinced that basically nobody is interested Kalinak’s departure from Parliament anymore. “The only thing that is important is that this person will have a just punishment,” said Sulik, who wants to make sure that the law enforcement authorities will have a free hand regarding Kalinak’s case. Conversely, OLaNO MP Veronika Remisova considers Kalinak’s departure to be a minimal gesture of decency towards citizens. In this context she pointed to the suspicions that the Slovak government plane was allegedly used in the case involving the kidnapping of a Vietnamese national. “Either Robert Kalinak was an incompetent minister who didn’t have control over his ministry, or he knew about everything, which is even worse,” she said. Kalinak said in an interview for TV Pravda earlier on Thursday that he will give up his MP’s seat by the end of 2018. “I’ve realised that the debt I owe to my family is much bigger and I should start paying it. I’m leaving Parliament and I want to hand over to Parliamentary Chairman Andrej Danko an [official] letter on giving up my mandate by the end of the year,” he said. According to information provided to TASR, Kalinak will be replaced by Peter Nahlik (Smer-SD), who had to leave Parliament when former Government Office head Igor Federic claimed his seat in the House in September. It was previously thought that Kalinak’s empty seat in Parliament would be filled by Darina Gabaniova (Smer-SD). Whether or not he will run in the 2020 general elections, Kalinak said that this topic is rather distant at the moment so he can’t comment on it now. 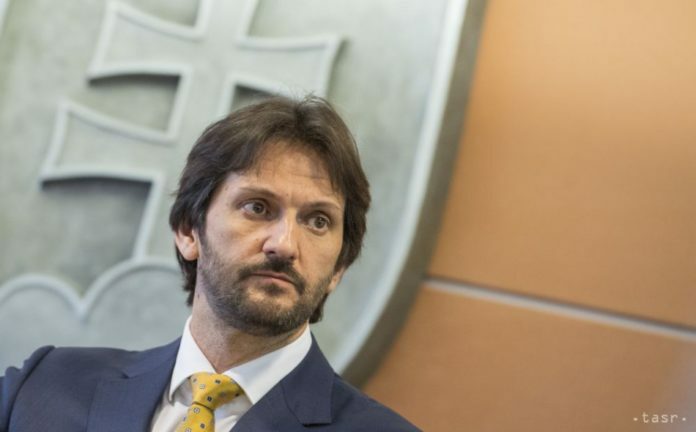 [Kalinak resigned as the interior minister in the wake of the murders of investigative journalist Jan Kuciak and his fiancée Martina Kusnirova – ed. note].